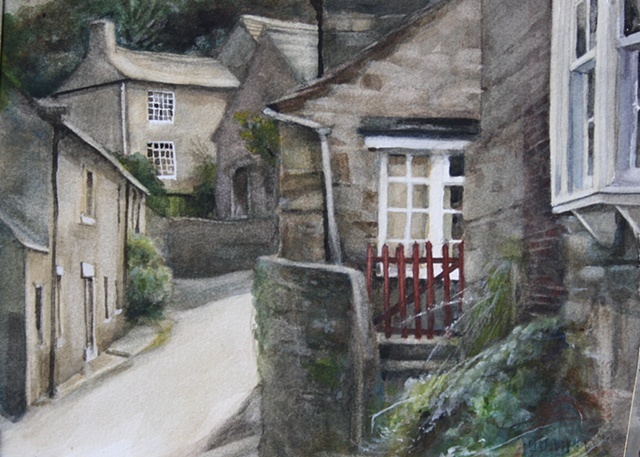 Vyvyan Green Watercolours - West Burton, North Yorkshire. Watercolour. West Burton, North Yorkshire. Watercolour. This particular street glories by the name of Front Nook, and, as one would expect, elsewhere in the town can be found a street by the name of.... Back Nook. Much against my better nature, I will not stoop to using this opportunity to make some joke, pun, or smart remark upon these interesting names, I'm sure that the locals have heard them all before.